Get $150 Gift Card with purchase. Activate your home and office space with the Revolution Package. 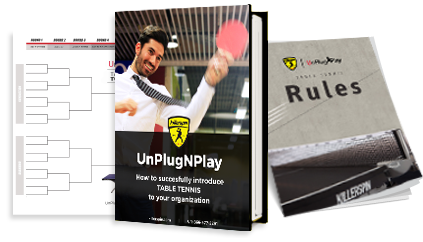 Connect with friends, family, co-workers and customers in your very own UnPlugNPlay space. The Revolution Package comes with everything you need to throw an epic tournament any day of the week: 1 Revolution table, 4 Jet 600 paddles, 2 Packs of balls and 1 MyT Clean.